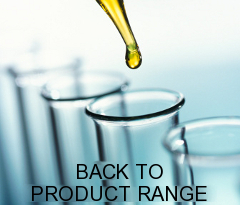 Esterol 272 is a nonionic surfactant derived from natural oils of the fatty acid glycol type. A good general purpose emulsifier it is readily biodegradable and has low toxicity characteristics. ESTEROL 272 is a pale yellow viscous liquid or waxy solid with a bland fatty odour. Liquid above 20ºC and solid below 10ºC between which it may be partly solid or pasty. ESTEROL 272TM is a very useful low HLB co-emulsifier for forming either oil-in-water or water-in-oil emulsions. It is readily biodegradable and has very low toxicity. Small percentages in compounded oil formulations impart excellent rust preventative characteristics. Mild to skin means that it is suitable for formulating into personal care and hygiene products. Can impart corrosion inhibition properties to formulations.